Do you dream of getting bang for your buck deals when it comes to buying your home? Are you interested in getting enticing terms that fit your budget and lifestyle? If you are, the Laurentian Bank Mortgage might be just what you need. Aside from having access to a variety of plans, you also have the chance to get preferential rates and even cashback from your plan. Interested in getting all of these and more? Find out how you can apply for a Laurentian Bank Mortgage today. One of the most inviting offerings from Laurentian Bank is its cashback feature. Their mortgage with cashback offering allows you to get cashback of up to $25,000. This cashback feature allows you to get the peace of mind you deserve, especially when you can use the money to buy additional furniture for your new house, renovating your space, and many more. Another advantage you won’t want to miss out on is their fixed-mortgage rates. Through this offering, you can get the stability and consistency you need in your life. Should you opt for this plan, you can pay fixed payments every month up until 10 years. You are also more than welcome to make additional payments to your plan, allowing you to lessen the amount of your loan. You also have the option to increase payment account, helping you achieve your goals faster. The best part? You can get a mortgage loan insurance if you do not have enough cash to settle the downpayment required to buy your property of choice. 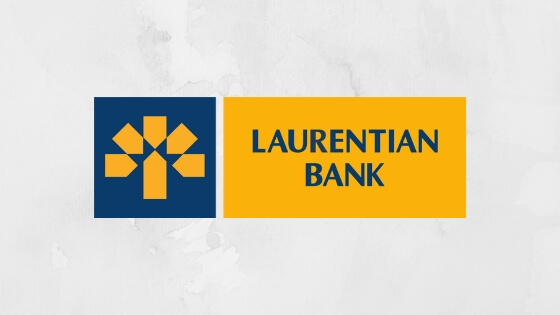 If you are ready to get your own Laurentian Bank Mortgage, then head on to their website. You can apply by talking with a financial advisor or by going to a branch near you. Some of the required documents you need to bring include proof of income, proof of assets, proof of other income sources, and other relevant personal and financial information. These typically include employment contract, bank statements, investments, and other similar documents. If your application is approved, you can take out a housing loan. However, the amount you can take out depends on your chosen term and plan. Open fixed-rate mortgages have an interest rate of 6.3% to 6.7%. Meanwhile, a convertible fixed-rate mortgage has an interest rate of 5.50%. A closed fixed-rate mortgage, on the other hand, has interest rates ranging from 3.79% to 6.60% depending on the term period chosen. If you choose the fixed-rate mortgage with cashback, you will be given a fixed rate of 5.49% which is applicable for 5 years. The home equity line of credit has a minimum rate of 4.45%, while the variable-rate mortgages have rates ranging from 3.60% to 3.95%. Whether you are planning to buy your future home or renovating a part of your existing home, the Laurentian Bank Mortgage is your best bet. With its flexible rates and cashback deals, you are certainly in for a treat. Apply now!